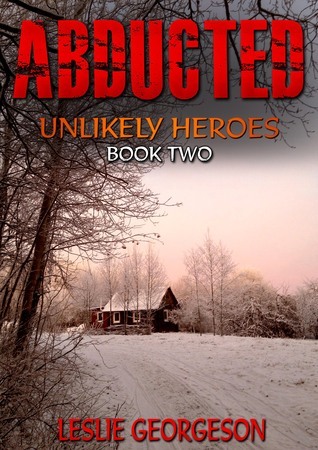 Abducted Unlikely Heroes Book 2 by Leslie Georgeson – Books, Books and More Books! Romance and Suspence! Max has had a hard time for a long time. His daughter was abducted, his wife died and he crawled into a bottle and let his Vet business go. But things are about to change. In the middle of a brutal blizzard gunshots ring out and while Max would just as soon ignore them, his dog Lucky, who is pretty special, won’t let him. Off they go into the blizzard to find a car off the road and in the freezing river. But this isn’t any car, it belonged to him at one time and the last time he saw it, his daughter was in it. But the woman behind the wheel is not his daughter, but who is she and where did she come from. There are so many twists and turns in this book, I stayed up to finish it. Great book and look forward to reading the rest of the series!